Nuki » Blog » Nuki News » Nuki Keypad – Simply for everyone. Secure for everyone. How secure is the Nuki Keypad? 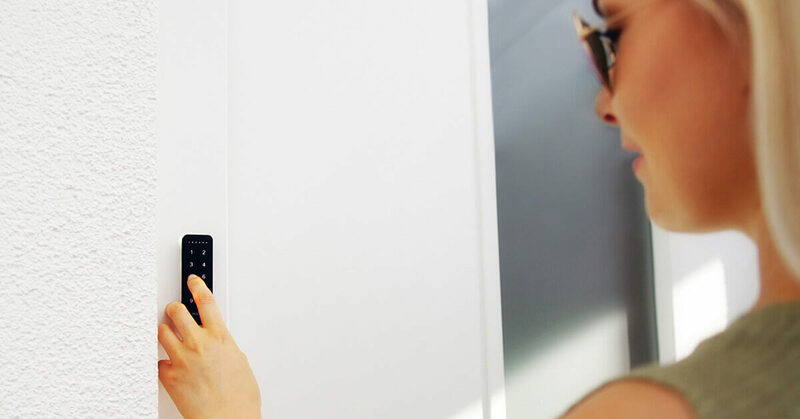 The Nuki Keypad uses the same encryption mechanism you already know, because it is also used for communication between the Nuki App and Nuki Smart Lock. The encryption concept is described in detail here. We thus comply with the latest security standards – which has already been confirmed by several independent institutes, e.g. the renowned AV-Test Institute. The initial key exchange takes place during the initial setup when the keypad is connected to the Smart Lock. Afterwards, the keypad then appears as a user in the user administration of the Smart Lock. How secure are the access codes? After the initial setup, up to 99 different access codes can be added by means of the Nuki app. Codes can be stored with restrictions on specific days or times they can be used as well as specific start and end dates. In so doing, the access codes are stored exclusively in the Smart Lock and are therefore secure, even if the keypad is stolen. Since all access codes have 6 digits and there are 9 digits on the keypad, a maximum of 9^6 = 531,441 access codes are possible. For security reasons, we have blocked combinations starting with ’12XXXX’, leaving 419,904 usable combinations. In order to make any misuse visible, incorrect access code entries are noted in the Smart Lock log. In addition, each time an incorrect access code is entered, the time until it can be entered again is progressively extended. In theory, it would take over a year to try every possible code (brute force attack). What if the keypad is stolen? As already mentioned above, access codes are secure because they are only stored in the Nuki Smart Lock. In addition, the Nuki Keypad requires a 6-digit security code to be established during the initial setup, making it completely useless for a thief. Without this code, it cannot be connected to another Smart Lock or reset to factory settings. Therefore, by all means remember this security code since otherwise, you will no longer be able to manage your keypad. And what happens in the worst-case scenario? The Nuki Keypad is mounted on the outside of your door and therefore visible from the outside. If your keypad is stolen, it would be completely worthless to a thief, as described above. However, it is still very unpleasant for you. We therefore offer a theft replacement program: In order to utilize it, simply send a copy of the police report indicating the theft of the keypad and a copy of your original invoice as proof of ownership to our Nuki Support. You’ll then receive a free replacement product from us.